Girard named Craw-Kan Team of the Week. The Craw-Kan "Your Community Technology Partner" Team of the Week from the Southeast Kansas coverage area is the Girard Lady Trojans Softball team led by head coach Jim Vinze. The Trojans, who are the defending 4A-II champion, have started off the 2018 campaign with a 10-0 record. They have outscored opponents 154-to-23 over 10 contests this year. They also have a mark of 6-0 in CNC league play and picked up two key CNC victories last week over Baxter Springs (16-2, 7-2). The Girard offense is led by senior Sydnee Crain who is hitting .643 and senior Shelby Smith who is hitting .618. Crain has 28 RBI while Smith has 26 RBI. Junior Marci Heatherly is also having a breakout season hitting .593 with 14 RBI. Smith leads the Trojans in the circle with 55 strikeouts in 43 innings pitched, while going 8-0. Girard will be back in action on Monday as they travel to Columbus to take on the Titans in a key CNC double header. 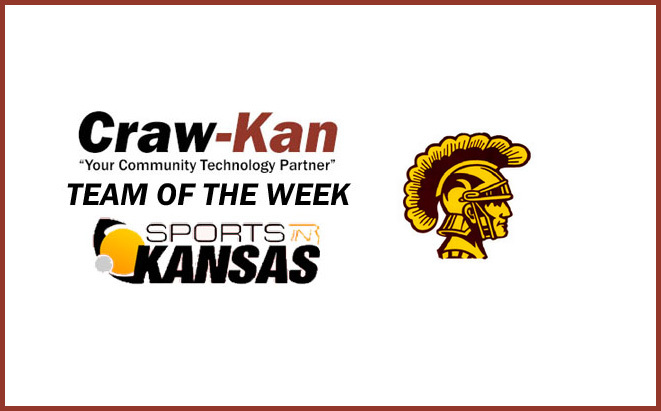 Craw-Kan “Your Technology Partner" and Sports in Kansas will once again be in partnership over the 2017-2018 school year to release a "Craw-Kan Team of the Week".